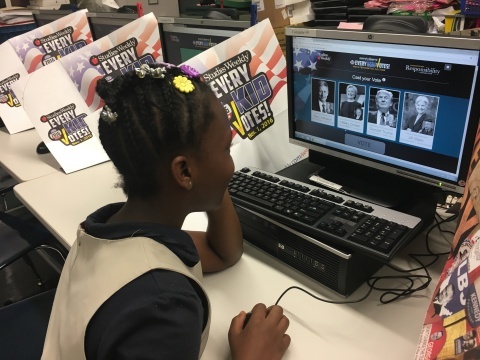 the EveryKidVotes!™ mock election at their participating school. election results map of the U.S. here. state officials about civic responsibility and the election process. to use in their classrooms in preparation for EveryKidVotes! predicted the winning candidate in all of the last three U.S.
responsibility and the voting process. throughout the U.S. Visit www.studiesweekly.com. contribution to the program, visit www.StatueOfResponsibility.org.